Teens participants of Fidel's three-year leadership training fellowship, which includes a mentorship program in the high-tech sector and a pre-army training course. Petach Tikva, Spring 2014. (Courtesy of Fidel). So sometimes, words are aspirational. Take the Hebrew word ‘klita’ for instance, which generally means absorption, integration, and acceptance. Israel has many beautiful stories of ‘klita’, and as many failed ones too. One of the most challenging in recent decades is that of the Ethiopian Jews. I spoke about this recently with Michal Avera Samuel, as we discussed the long-awaited arrival of new immigrants from Ethiopia these past few weeks. In 1984, at the age of nine, Michal left from a small village near Gondar, Ethiopia, making the perilous journey by foot through the Sudan before coming to Israel. Now more than thirty years later she leads Fidel, a non-profit that helps Ethiopian immigrants navigate ‘klita’, with a specific focus on the formal and informal educational system. Started over twenty years ago as one of the first Ethiopian-led NGO’s, Fidel pioneered the model of ‘mediators’ within the educational system. The role of these mediators is to act as a liaison for parents, children and teachers, while also helping them to navigate the government bureaucracy. 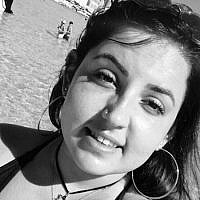 Michal and her staff, many of whom have lived through the challenges of their own klita, are able to bridge inevitable cultural gaps and serve as role models, often in Fidel’s youth centers that act as a second home for the children. The team members of Fidel- hosted at the Tel Aviv University’s Institute for National Security Studies, March 2018. (Courtesy of Fidel). In a popular piece Michal wrote last year, she shared stories from her youth in Ethiopia, including her dreams of the Holy Land and Jerusalem. Upon her arrival in Israel, she was shocked and saddened- as were so many other new arrivals of the Beta Israel community- to learn that the Second Temple that she longed to see had been destroyed over a millennium ago. In our recent conversation, I asked Michal what else she was unaware of before she arrived in Israel. She said that she did not know that there were Jewish people in Israel with lighter skin; she thought that all Jews were darker skinned, as in Ethiopia. She did not know that there were different understandings of how to be a Jew and varied patterns of observance. 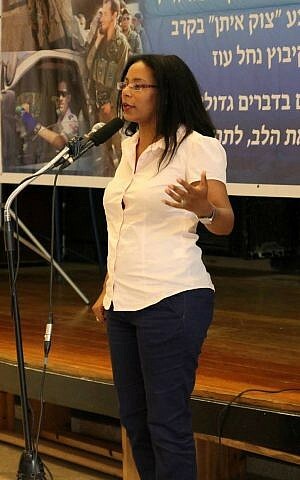 Michal Avera Samuel speaking at a Bet Midrash Barkai on the klita of the Ethiopian community in Israel. June, 2015. But what was far more significant for her was the belief that living in the Holy Land was a reward for living a life of virtue. Like others, she had been raised with the idea of Israel as a utopia, that awaiting them at the end of their pilgrimage to Israel they would be fully absorbed, integrated and accepted. Alas, as we all know and Michal quickly found out, Israel is no utopia. 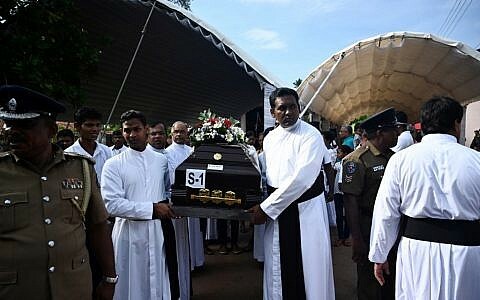 It is too often like most other countries in the world, plagued by instances of prejudice and discrimination. Not surprisingly, the story of the Beta Israel community is both complicated and full of paradoxes. On the one hand, it’s easy to recall the enthusiasm when the Israeli government helped bring thousands of Ethiopian Jews to Israel. And all the daring stories of rescue that we heard – from the fake luxury beach resort run by the Mossad that was used as a front to smuggle out Ethiopian Jews who had fled to Sudan in the 1980’s to the dramatic airlifts on overpacked flights, including the rescue of over 14,000 people within 36 hours, just days before the government fell in Ethiopia in 1991. There are also many stories of the outpouring of support by Israelis, when new arrivals were coming en masse and the Israel system of absorption was in full gear to provide basic needs of accommodation, healthcare, education and general welfare. 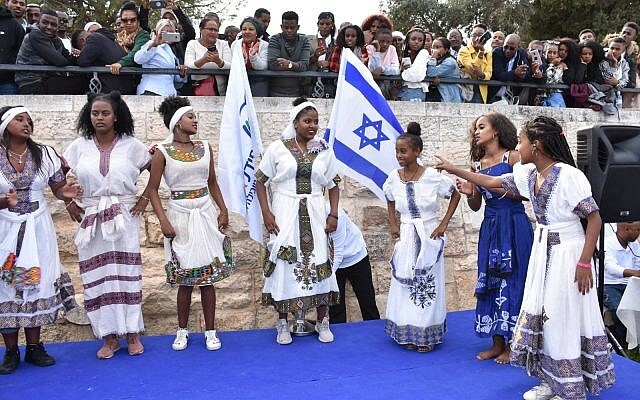 And more recently, we have seen Ethiopian Israelis as judges, members of the Knesset, ambassador to Ethiopia, the deputy mayor of Tel Aviv, and certainly most famously, Miss Israel in 2013 and the winner of Israel’s version of the American Idol last year. 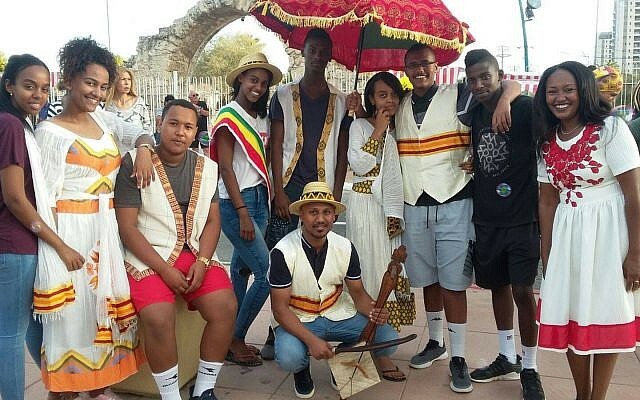 A celebration of the Ethiopian Sigd holiday, an official national holiday since 2008, from schools in the Northern Region of Israel, November 2018. (Courtesy of Fidel). But how do these stories fit in with what else we know? 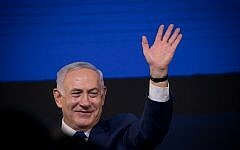 We have learned of the longtime unwillingness of the Israeli religious establishment to give official status to the traditional Ethiopian religious leadership, a recognition that was only finally accorded last year. And this is just one example of the many cases where institutional policies have led to a breach of trust on the part of the community vis a vis the government. 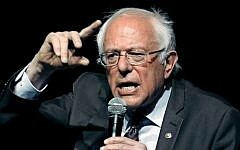 We have also seen incidents of police brutality and other problems with law enforcement, including the higher percentages of incarceration, that have led to street protests. There are still notable gaps in educational achievement and high poverty rates in the Ethiopian community of approximately 150,000. And thousands are still separated from their families due to the restrictions on the Falash Mura community despite government promises to the contrary. Now as the government begins slowly to bring the Ethiopians to Israel under family reunification policies, as we saw a few weeks ago, it is only natural to wonder if there will be another wave of thwarted expectations and failed hopes. As we sort through the complex history of the absorption of the Ethiopian community, people will continue to debate whether the well-acknowledged mistakes of the past were the result of bureaucratic incompetence, insensitivity or systemic racism. Whatever the conclusion, there is much work to be done to redress the past. 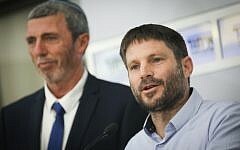 The government has sought to address some of these failures in recent years, with high level figures such as President Rivlin formally acknowledging the discrimination suffered by the community. Showcasing the heritage of the Ethiopian community. 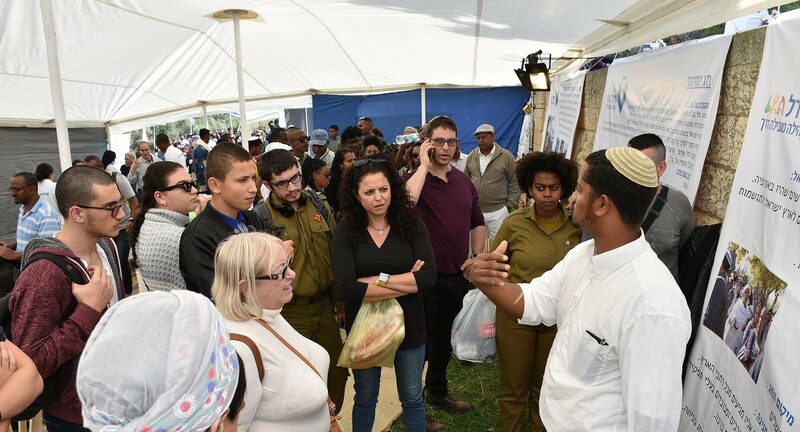 Tours of Fidel’s Tent as part of Sigd holiday celebrations in Jerusalem. November 2018. (Courtesy of Fidel). Michal is part of a new generation of Ethiopian-Israeli leaders who have been working to ensure that old patterns of patronizing and discriminatory practices are countered. Her organization, Fidel, while focusing on raising educational achievement, has also helped to increase the number of Ethiopian Israeli teachers, establish informal education programs, and ensure that Ethiopian culture and heritage are better incorporated into the educational system. 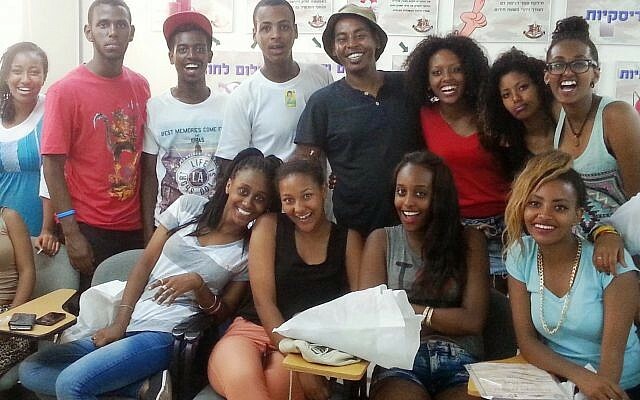 Indeed, the variety of civil society organizations led by this new generation cover the spectrum of issues, addressing the needs of both immigrants and native born Israelis of Ethiopian descent. 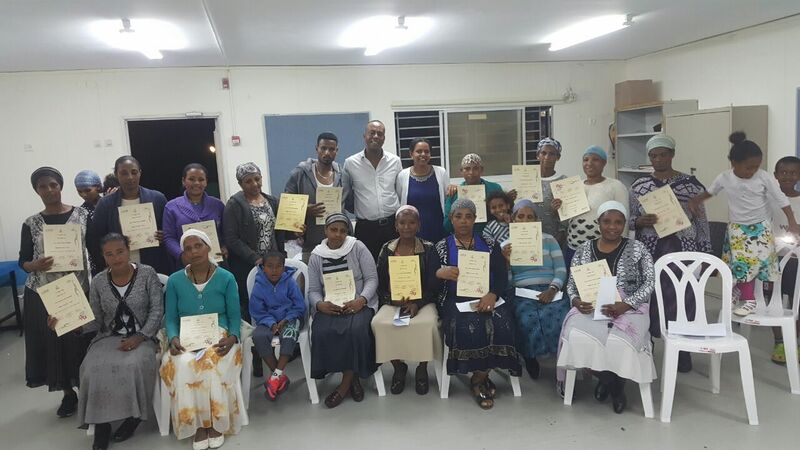 Graduates of Fidel’s Parents Empowerment Program in Petach Tikva, Spring, 2016. These workshops encourage parents to take an active part in their children’s education and to take on positions of community leadership. (Courtesy of Fidel). They include Tebeka’s free legal aid and community empowerment programs, Olim Beyachad’s work on employment and leadership, the involvement of the Forum of Ethiopian Doctors and Nurses, as part of Fidel, with health education and the health care system and the Association on Ethiopian Jews’ efforts on advocacy. Identity and belonging remain ongoing questions for an Ethiopian community that is still often marginalized. 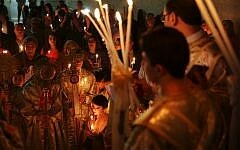 Like everyone, they yearn for a homeland where they will not feel like outsiders. 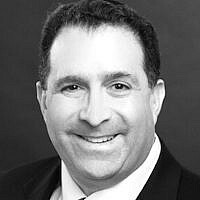 It is incumbent upon all of us, as a nation of so many immigrants, to consider what klita should represent here in Israel. We can start by making sure that the klita of everyone is not defined as a story of ‘them’, but becomes a story of ‘us’.